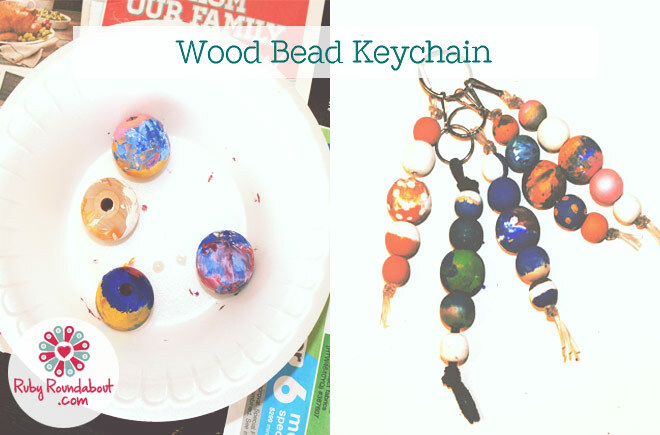 A wood bead keychain is a great craft if you are looking for something simple and fun to do with just a few supplies. Probably the hardest thing to find would be the beads, if you don’t already have them on hand. 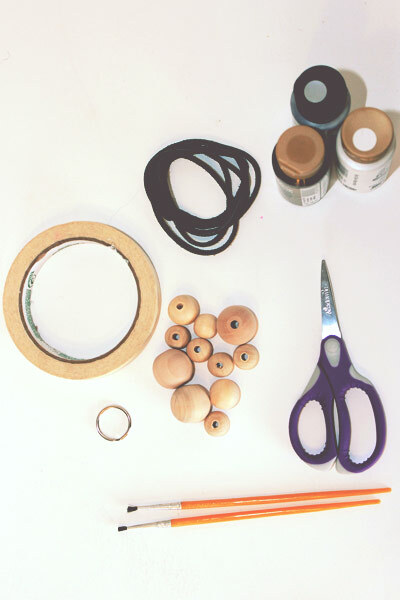 Everything else you need for this super easy craft can probably be found around the house. 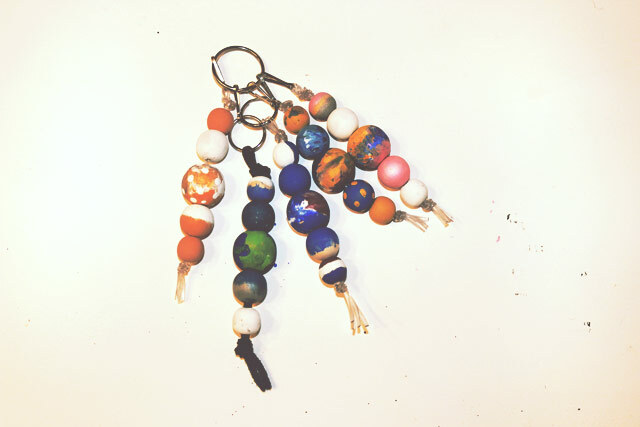 When finished the wood bead keychain would make a great, handmade gift for someone special. Step 1. First thing is first, pick your colours and paint your beads. Try painting them in groups with similar or coordinating colours so when you assemble the key chains they will look nice. You can paint stripes, dots, or even use tape to colour block if you wish. Something fun is to swirl a few colours together, not enough to mix them but just swirl colours, and then paint with that. 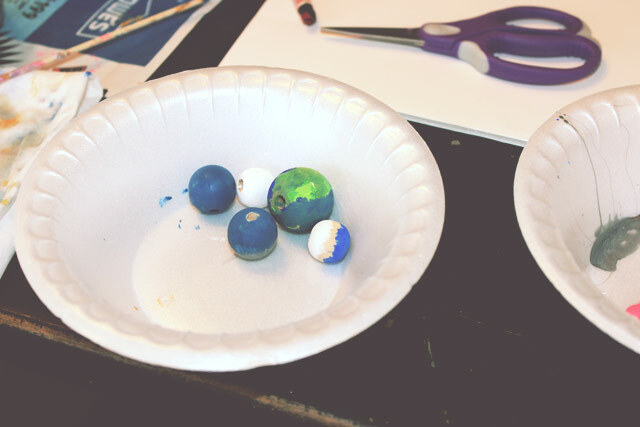 Once the paint is dry pick the beads you want to string together and set them aside. Step 2. Then you need to run your leather or string though the slip ring. First, make sure that two pieces of string will fit through the holes of your beads, otherwise you will have to find something else to use. Then the easiest way to fasten your string is to slide it through the ring and pull it until it will bend in half. Then, when the two ends are the same length, tie a single knot at the top, near the ring. 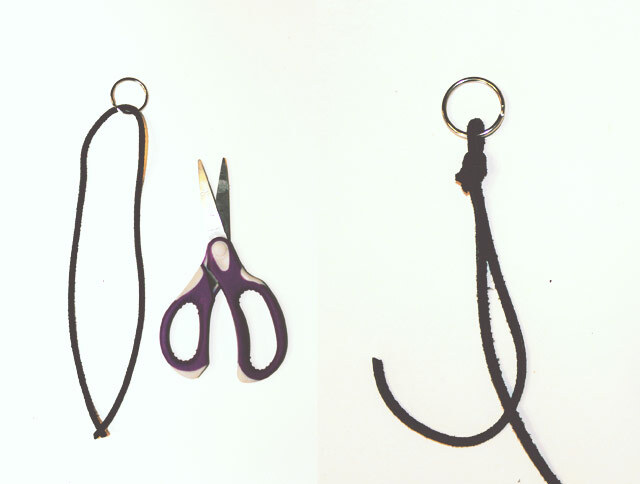 Do this by making a loop and pulling both ends through at the same time. Pull tight! Step 3. Next you will string your beads. You can change the order and pattern of the wood beads if you like, but it looks really good to do them in a sequence of small, to big, and back down to small. These key chains here used only five beads, but you can use anywhere from 3 to 6 beads. Just be sure to leave enough room at the bottom of your string to tie another knot. Step 4. 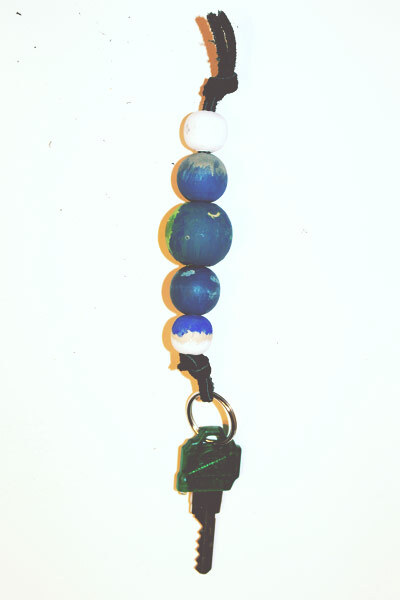 When you are done stringing your wood beads on your keychain, you need to tie it off. All you have to do for the final step is to make a knot just like the one you made at the top near the ring. Now you can use your new wood bead keychain. One thing that is great about using paint is you can make any colours, patterns, or mixes you want. 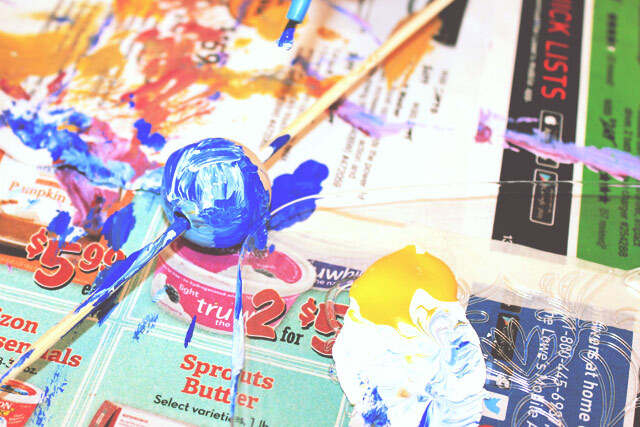 You can make a spring colours keychain, or primary colours. You can also mix and match your beads of different sizes to make new patterns. The finished keychain would make a great present for a friend, especially if you used a clip instead of a slip ring, that way they can stick it on a bag or backpack. If you are really creative, you can even make matching best friend keychains to keep forever.